Don't let what's inside the purse feel left out while you are going out and about. Compact and light, but holds a lot. 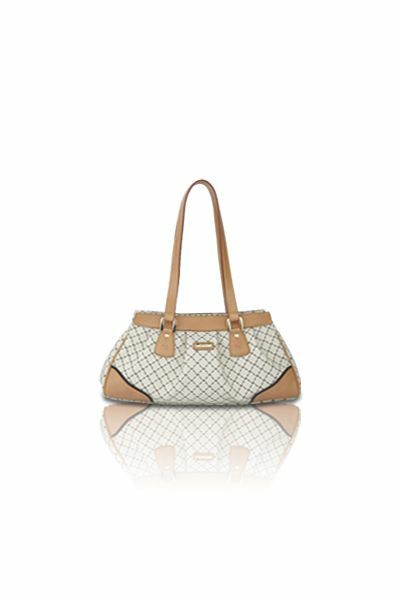 In a gentle mocha ''RR'' RIONI monogram print against solid vanilla colored designer canvas body. 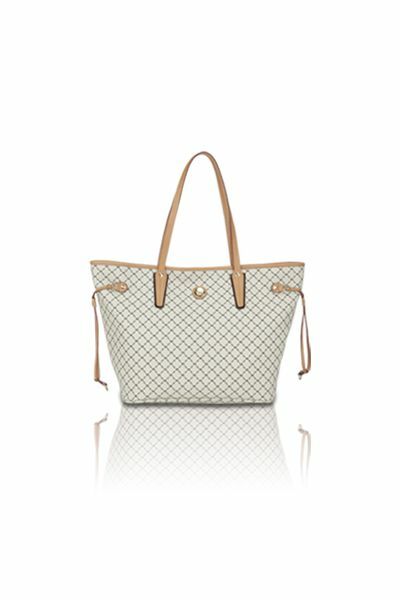 The gold embossed RIONI emblem clasp opens to four credit card slots and three extra side slots. Top zipper enclosure opens to an accordion compartment with a center divider interior that is lined with a goldenrod colored RIONI monogram print fabric. Product: Small Zipper Button Zip Wallet was added to cart.